If the genetic code is like a book, then a mutation is like a typo. Some typos are meaningless. Others have such dramatic consequences for a book, or a life, that the error alone could have an entire novel written about it. Cancer mutations are like that. As oncology moves toward precision medicine – the idea that if we knew exactly which genetic mutations make a particular cancer tick, we could pick exactly the right treatments – oncologists have to keep up with an ever-expanding library of mutations and the drugs that might foil them. The number of cancer research papers published increases every year; there were about 35,000 published in 2015 just in the U.S. It’s far more than any one person can keep up with. In the same way that a university has research librarians who keep up with the literature in specific fields, JAX has experts who keep up with cancer gene and drug research, even studies that are ongoing and not yet published. A new collaboration between UConn Health and The Jackson Laboratory (JAX) hopes to help oncologists find the right treatments by keeping up with research for them – and using the institutions’ combined expertise in cancer treatment, molecular biology, and genetics to improve patient outcomes for cancers that currently don’t have good treatments. In the same way that a university has research librarians who keep up with the literature in specific fields, JAX has experts who keep up with cancer gene and drug research, even studies that are ongoing and not yet published. JAX already successfully connects these experts with doctors in the Maine Cancer Genomics Initiative, a philanthropy-funded statewide precision medicine program. UConn Health and JAX hope to expand the concept and demonstrate its feasibility more widely. Imagine that a patient has surgery or a needle biopsy to diagnose a tumor. It’s a particularly ugly tumor, the surgeon, oncologist, and pathologist all agree. Invasive, spreading, and perhaps this isn’t the first time this patient has had to come in for cancer surgery. The tumor is sampled and sent for genetic testing. In about two weeks, the results come back: there are three genetic variants in the tumor that might be drug targets. 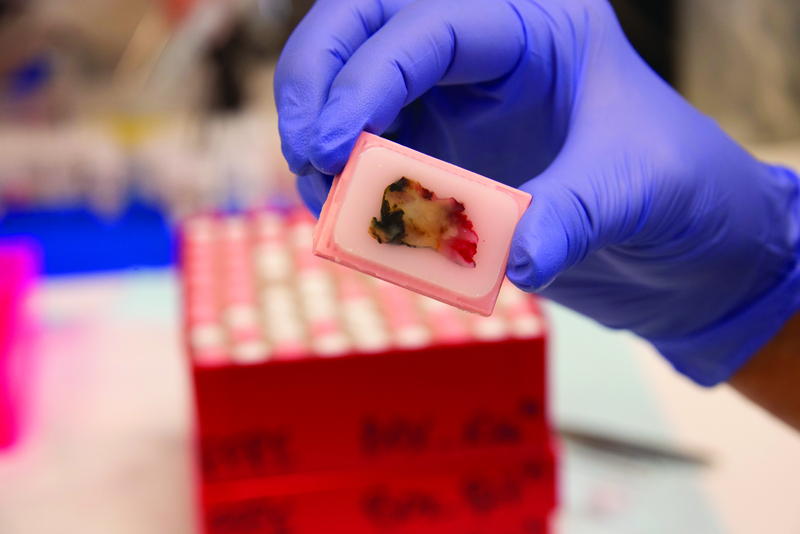 At UConn Health, oncologists can send portions of particularly malignant tumors to a team at the JAX Clinical Laboratory. JAX sends back a report with information the oncologist can use to pick a drug regimen with the best chance to shrink that ugly tumor. “The goal is to define the optimal treatment regimen for each individual patient” who may not have good options otherwise, says Dr. Ketan R. Bulsara, chief of neurosurgery at UConn Health and one of the principal investigators on the project. The report is intended to be a standalone reference an oncologist can use to inform a treatment plan. But if the oncologist is unfamiliar with one of the mutations identified in the report or just wants more information, they can request that a genomic tumor board be convened. The board is composed of surgeons, pathologists, and molecular oncologists who act as external advisors, sharing their opinions with the oncologist. In just 15 minutes, the oncologist can get a wealth of expert opinion to combine with their own expertise and judgment. In the end, the oncologist and patient decide on the best treatment, based on all the available information. “In a multidisciplinary fashion, doctors and scientists work hand in hand in this with one common goal: identify the best treatment regimen for that particular patient’s pathology,” Bulsara says. The focus is always on the patient. But behind the scenes, there’s an entire team of researchers whose work goes into the genetic tumor report. Scientists at JAX Clinical Laboratory sequence the tumor’s genetic code and report information on more than 200 cancer-related genes. The genes were picked because they are associated with both malignancy and potential drug treatments. Any mutations or variants in these genes might be a clue to the cancer’s weakness. Or a red herring. “A typical tumor might have 2,000 mutations. Not all of them really matter,” says Andrey Antov, the program director for the Maine Cancer Genome Initiative at JAX. Finding the key mutations that matter, the two or ten or twenty that could possibly inform treatment and a better outcome for the patient, is the job of the clinical genomic curators. The clinical genomic curators are specialists in fields such as molecular oncology and oncological pharmacology. They’re dedicated to keeping up with the literature on cancer genes and the drugs that target them. More and more of these drug-gene connections are being discovered every day. It’s exciting, but the sheer volume of papers can be overwhelming. Navigating that ocean of scientific papers is the medical curators’ full-time job. They’re like librarians curating a Boston Public Library-size collection of genes and drugs with no cross references in the card catalog and only an imperfect search function. The hope is that just as a good librarian’s knowledge of the subject matter can unearth texts a researcher would never otherwise find, a medical curator’s grasp of oncological genetics and pharmacology can identify potential treatments that would otherwise remain obscure. Each mutation identified by the genetic panel might require 10 to 20 scientific publications to understand. Once the curators have a handle on the variants’ significance, the clinical laboratory decides which two or three should be described in the report to the oncologist. Sifting the information down to something relevant and digestible is the ultimate goal. “Today, all this information is disorganized and may not all be in the oncologist’s head. We’re trying to bring it together,” says Jens Rueter, medical director for the Maine Cancer Genomics Initiative. The ideal outcome of a tumor genetic analysis would be to identify a mutation such as the HER2 gene that is turned on in the most aggressive breast cancers. HER2 is responsible for the cancer’s malignancy. But it’s also the cancer’s Achilles’ heel. Once drugs were developed to block the HER2 protein, survival rates climbed sharply. The goal of the Maine Cancer Genomics Initiative is to enable oncologists to identify other drug-gene connections as potent as the ones found for HER2. Although more and more of these drug-gene connections are being discovered, it remains difficult to provide a patient with access to these drugs. Many of them are only available if a patient participates in a clinical trial. And often, there are barriers to accessing clinical trials, and getting drugs off-label is the only way to get patients to treatments. That’s another benefit that Antov, Bulsara, and Rueter hope UConn Health’s collaboration with JAX will bring. Ultimately, the researchers hope to demonstrate that this approach leads to better outcomes for patients. During the past year more than 350 patients and 70 oncology practitioners (more than 80 percent of the Maine oncology community) enrolled in the Maine Cancer Genomics Initiative study protocol. A few patients have already been offered a targeted treatment through a trial or a compassionate drug access program as a result of enrollment in the program. And Maine health care professionals have logged more than 1,200 certified education hours through 35 genomic tumor boards, online modules, and annual forums held by JAX. So far, five patients have done this at UConn Health within the last two months. Generous donors have given enough to fund 20 more. 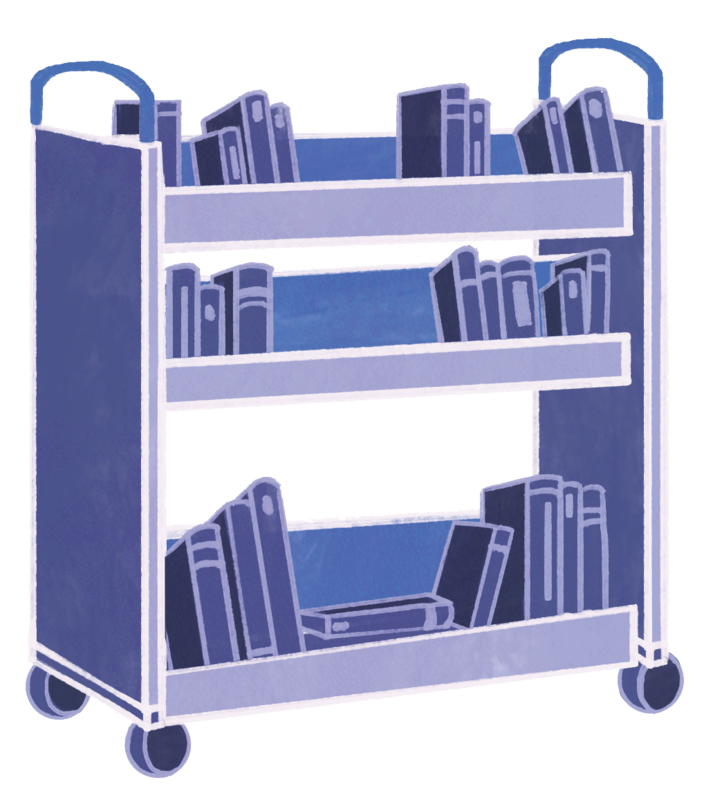 The hope is that just as a good librarian’s knowledge of the subject matter can unearth texts a researcher would never otherwise find, a medical curator’s grasp of oncological genetics and pharmacology can identify potential treatments that would otherwise remain obscure. 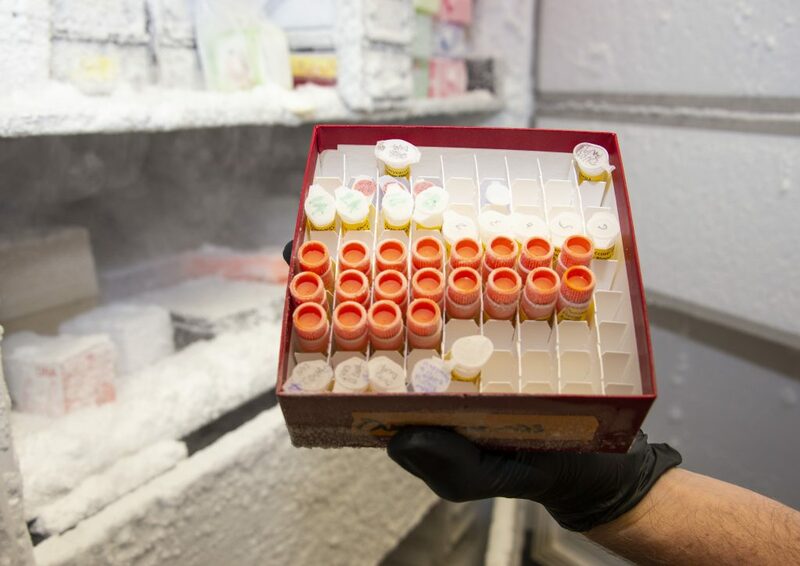 UConn Health already has the infrastructure to do this, in particular a biorepository for tumors set up by Neag Cancer Center director Dr. Pramod Srivastava and pathologist Dr. Melinda Sanders. With that foundation and support from UConn Medical School dean Dr. Bruce Liang and UConn Health CEO Dr. Andrew Agwunobi, the program was piloted in the Department of Surgery by Bulsara, its chief of neurosurgery, with support from Department of Surgery chairman Dr. David McFadden, hematology, and oncology chief Dr. Susan Tannenbaum, anatomical pathology chief Dr. Qian Wu, and JAX Clinical Laboratory director Honey Reddi. If the UConn Health–JAX initiative does prove its feasibility, the approach will continue to spread and become a standard of care. 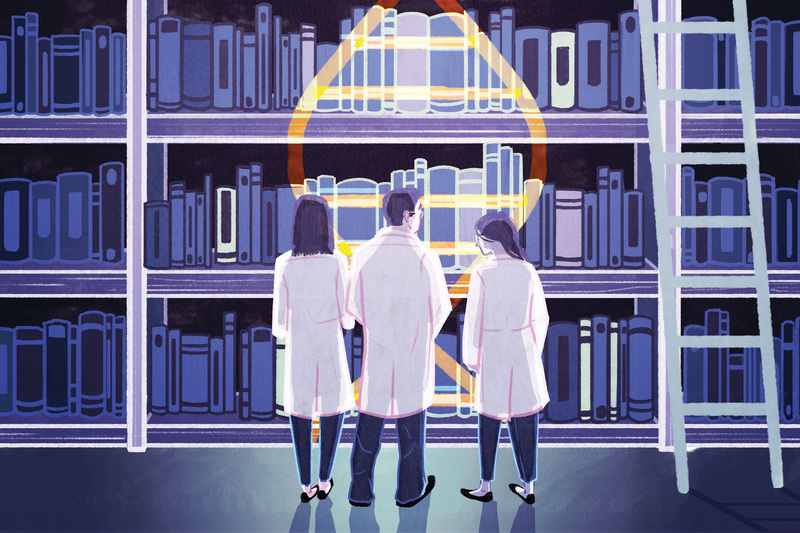 More oncologists could have access to the library of knowledge and advice of a genetic tumor board, and more cancer patients could benefit from longer, healthier lives. This story first appeared in the Fall 2018 issue of UConn Health Journal. For more stories on UConn Health research and clinical innovations, visit healthjournal.uconn.edu.